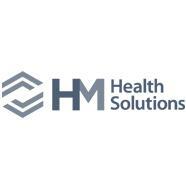 HM Health Solutions (HMHS), a wholly owned subsidiary of Highmark Health, is partnered with eight health plans serving 10 million members. In an effort to get their managers thinking through a business lens, HMHS partnered with Paradigm Learning. Using Zodiak®: The Game of Business Finance and Strategy and Mosaic: The Art of Talent Leadership®, HMHS was able to inspire leaders to take accountability for their impact on the financial health of the organization and their role in attracting, retaining and transitioning talent. HMHS recently became an independent company, while remaining a part of the Highmark Health Family. Managers and their teams formerly functioned in a siloed manner. As an organization with this new structure, they asked: How can we level-set our people and get them to see the big picture of our business? How can we change their behavior so they make better business decisions? “Many leaders at HMHS look to other entities outside their realm of responsibility to put things in play or development,” says Vanessa Tirpak, an Instructional Designer for HMHS, who recognized managers’ need to become more active in employee development. HMHS was already putting together a much broader training program and wanted to reinforce not only the responsibility of attracting the right talent and transitioning them, but also tying in core leadership behaviors at HMHS. In the first year as a standalone company, HMHS seized the opportunity provided by their annual leadership rally to implement customized versions of Zodiak and Mosaic. A gathering of 450 managers, team leads and employees were exposed to these engaging and dynamic simulations. Zodiak and Mosaic rely on an educational principle known as discovery learning, which states that people successfully absorb and retain material when they are actively involved in the learning process. In the Zodiak simulation, participants manage a fictional company and learn to think like a CEO as they attract customers, manage their business, and develop new products while analyzing the impact of their decisions on the company’s financials. Participants make challenging decisions about innovating for the future and balancing short-term business needs. In Mosaic, vibrantly illustrated table-sized Discovery Maps® create the visual foundation for a leadership learning experience. Working in table teams, managers explore a robust case study about fictional managers struggling with various steps of developing their employees. After their managers experienced Zodiak, HMHS worked with Paradigm Learning to create a custom business finance workshop that built upon the in Zodiak. In this workshop, participants explored a case study based on the business of HMHS, made strategic decisions and analyzed financial outcomes. They dove into additional topics like maintaining margin on projects, managing expenses, and cascading business finance knowledge to their teams. To date, approximately 600 participants have gone through the customized Zodiak and Mosaic programs at HMHS, including team leaders, managers, executives, and Senior Vice Presidents. Managers embraced an entrepreneurial mindset and gained clarity on the actions they can take to drive better bottom-line results.